Daniel Muindi and Delvine Relin Meringor have won the 13th edition of Safaricom-Madoka Half Marathon held on Mashujaa Day at Ngerenyi, Taita Taveta County. 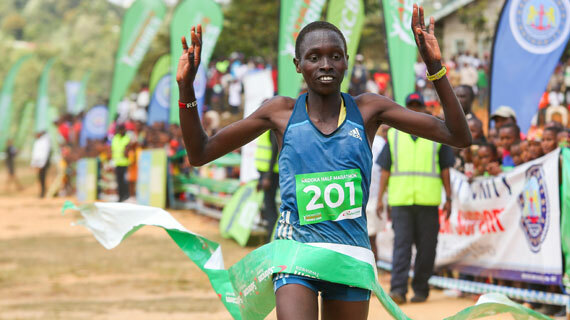 Daniel Muindi and Delvine Relin Meringor are the new champions of the 13th edition of Safaricom-Madoka Half Marathon held on Mashujaa Day at Ngerenyi, Taita Taveta County. "The race was tough due to hot weather and stiff competition. Being my first time here, I’m glad I won. I am looking forward to defending my tittle next year,” said Delvine Meringor winner 21Km women.